This is Milton Friedman, the Nobel Prize winning libertarian economist who adamantly opposed big government. What is There to Learn From Finland’s Basic Income Experiment? Did It Succeed or Fail? This is a speech I wrote for a keynote in Ireland for DemCon 2018. The video below was created for The Economist’s Open Future contest where everyone has one minute to change the world. This is my minute. Basic Income is EASILY affordable. 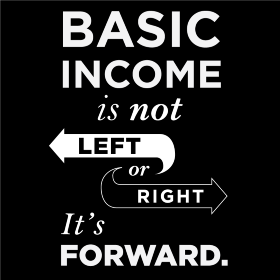 Basic Income — a regular payment of money for every resident citizen, regardless of their circumstances, sufficient to pay for essentials. Why we should all be feminists…and why all feminists should support the basic income.